The longest waiting time at Maxi Mango is four hours and 30 minutes! 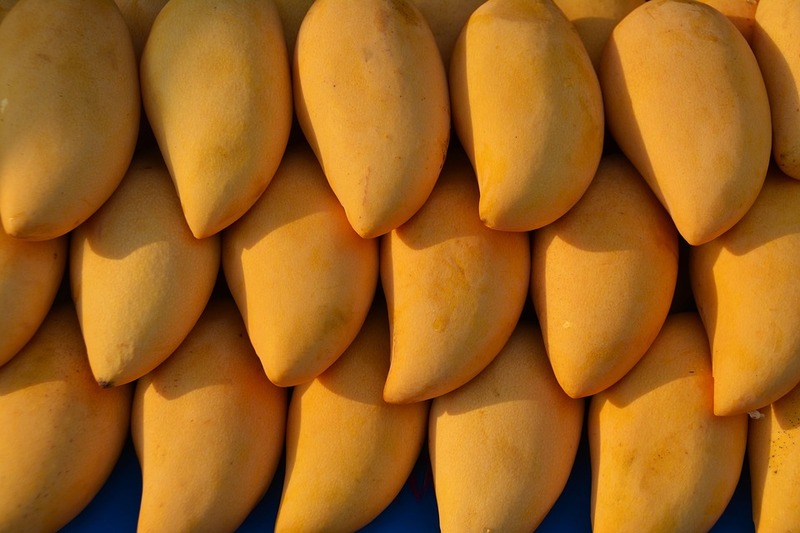 Our sweet and juicy Philippine mangoes have been lauded as one of the best ones you can eat around the world. 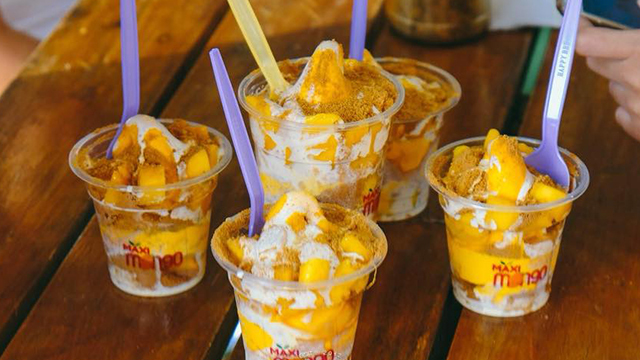 Even though these mangoes are only in season during the months of summer, Filipinos love to eat these fruity delights all-year round especially when desserts like the mango float are a staple for any type of festivity. Yellow mangoes are a popular fruit in the Philippines. It is arguably the sweetest in the world! 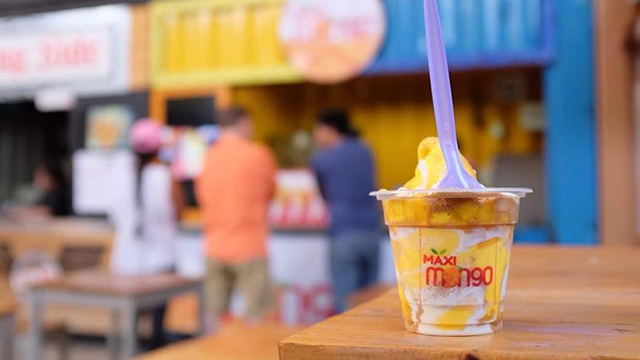 On December 2017, Miki and Ivan Velasquez decided to start a food venture with Maxi Mango, a mango float-in-a-cup business. "It's Christmas and there's mango float everywhere. Why not put a twist to it?" Miki shares. 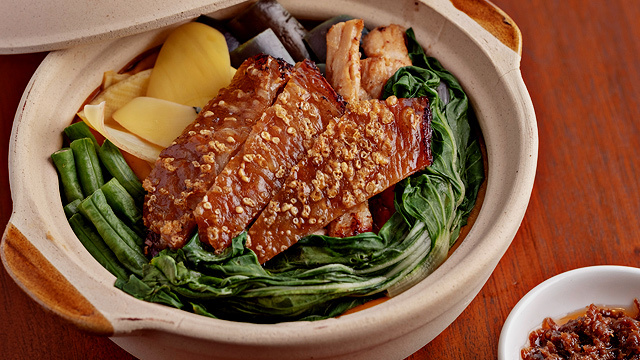 They currently have three Davao-based branches located at Gaisano Mall Tagum, Gaisano Mall Davao, and Boxed Up Davao. 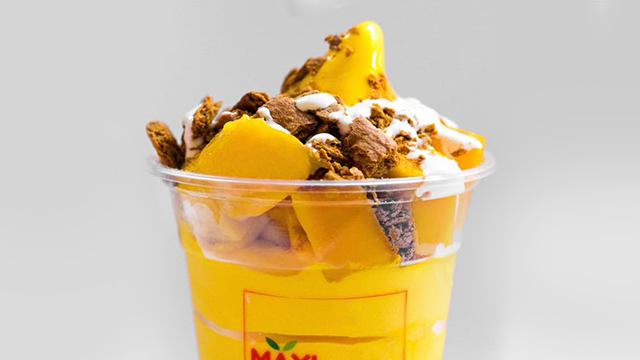 Maxi Mango's toothsome treats start at just P49 per cup. A traditional mango float is a type of refrigerated cake with layers of graham crackers, a sweet cream mixture, and slices of fresh mango. Maxi Mango puts a deconstructed twist to this with their two variants: Maxi Mango (P49/small, P69/medium, P85/large), which contains mango ice cream and mango bits, and the Mango Float (P65/small, P85/medium, P99/large), with mango ice cream, mango bits, crushed Graham crackers, and sweet cream. It sounds simple, right? Miki shares that the longest time a person waited in line to get a taste of these creamy desserts is a total of four hours and 30 minutes! This might seem shockingly unbelievable to people who have never tasted it, but one spoonful of it might instantly change your mind. You can also ask the Maxi Mango servers to add more crushed Graham crackers in your mango float. The secret to the success of this dessert comes from their special soft-serve mango ice cream. Their ice cream is made with sweet, ripe mangoes, which they source from their hometown in Davao. A huge influence to this simple dessert is Miki's 47-year-old helper, Nelda, whom they call Nana, who brought up Miki since she was just three years old. Miki grew up eating the delicious dishes Nana would whip up, especially her favorite mango float. 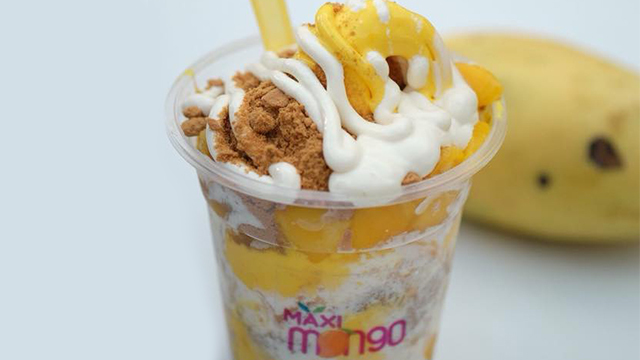 The mangoes used for Maxi Mango's creamy desserts come all the way from Davao! Miki and Ian were struggling financially prior to Maxi Mango's success and the family didn't even have their own place to live in. They had to raise their two kids, Andy (seven years old) and Max (two years old) while living behind a bakery; they were undoubtedly struggling to make it through each day. Fortunately, the blockbuster-like lines of mango float-hungry customers are the reason that they now own a house in Davao and another one in Metro Manila! Miki even shares that she got vulnerable and teary-eyed while grocery shopping when she realized that they can now afford two cans of imported Spam. 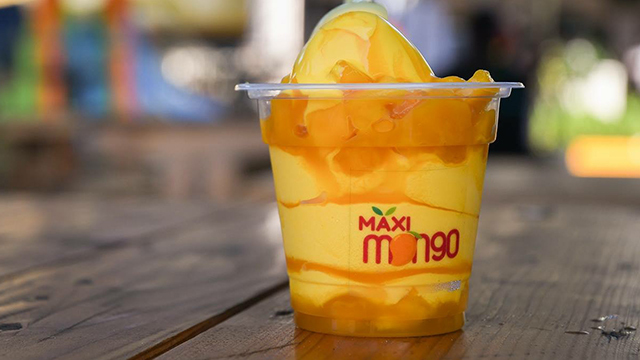 A cup of maxi mango can satisfy your sweet cravings! Maxi Mango was definitely a delish Christmas miracle that continues to bless them with praises and queues of people wanting a cup of their dessert. If you're not yet convinced, you can check the #MaxiMango hashtag on Instagram and see for yourself. Yes, the hype is real, but you know what? It's well-deserved! You can catch them at pop-up bazaars all over Metro Manila and Davao. 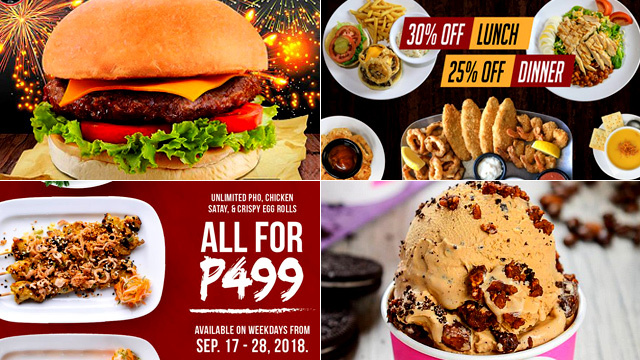 If you can wait a little longer, they are opening their first Metro Manila branches this October 2018 at Mall of Asia and Robinsons Galleria. They will soon open more branches at Vista Mall, SM Pampanga, SM Bacoor, and Festival Mall in the last quarter of the year. For more information and updates, follow Maxi Mango's official Facebook page.